On the heels of their recent IPO announcement, Roku has just announced that they will be launching a new streaming video movie channel. 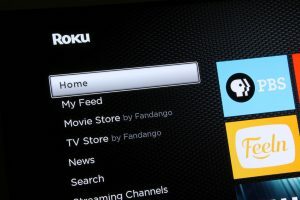 The Roku Channel, which is free to all viewers, will be available on all Roku players, sticks and TVs in the U.S. and it will carry a selection of films that will update every month. There are no added fees for the channel, which will be ad-supported. According to Roku, there will be half as many advertisements as there are on traditional television channels. Besides featuring films from studios including Lionsgate, Metro-Goldwyn-Mayer (MGM), Sony Pictures Entertainment and Warner Brothers, the channel will provide an opportunity for existing channel publishers to drive additional viewership of their content on the Roku platform. The initial list of participating publishers includes American Classics, Fandor, FilmRise, Nosey, OVGuide, Popcornflix, Vidmark, and YuYu; others are expected to be added over time. For Roku, the launch of an ad-supported video streaming service factors directly into the company’s post IPO plans and show investors that the company can continue to monetize the platform. While SVODs like Netflix still account for the lion’s share of streaming hours on Roku, those services don’t have any real impact on Roku’s revenues. Most of Roku’s revenue is still derived from device sales, but income from Roku’s platform is growing steadily, more than doubling in 2016.